Our plumbers are a team of experienced, licensed, and insured journeyman contractors who know their trade and keep their deadlines. Every home is important to us so we strive to be reliable, knowledgeable, and prepared for every job. We know you have many plumbing choices, so we make sure we make our services worth your while. Small businesses keep our economy ticking. We love our home town, and are so proud to serve homeowners and businesses in the Temecula & Murrieta area. We know our community loves to live here and we want their homes to be a plumbing and HVAC problem-free place. We’re never too far away when disaster strikes, so just give us a call. Every business says they have exceptional customer service, but we mean it. We know you’d typically only call us when something’s wrong, and we try to make sure you make the experience as pleasant as can be. No matter the problem, no matter the project, ProFlo works hard to put our customers first. As a team of prompt, reliable, courteous, and professional technicians, we know you will not be disappointed. When disaster strikes, ProFlo offers emergency service, 24 hours a day. You can call us anytime, day or night, and we’ll be there to assist you in repairing your plumbing, heating, and cooling appliances. We take pride in our promise to provide you, our valued clientele, and want your home to be comfortable, 24/7. Plumbing is a household necessity that needs to function at the highest capacity. When it comes to service, ProFlo is the company you can count on. Over the past 15 years, we have been able to provide plumbing services for families and business across the Inland Empire. We can assist you with all of your plumbing needs including faucets, drains & sewers, sinks, toilets, pipe leaks, septic tanks, backflow and commercial plumbing. If you’re having a plumbing problem, call us today. If you’re experiencing poor water quality, leaking pipes, or unsatisfactory water pressure, we specialize in pipe repairs and repiping. We provide extensive leak detection services, even if it’s underground. If the water in your residence is the wrong color or taste, we can find the source of the problem and resolve it painlessly. Whether you’re looking to upgrade your faucet or repair your current one, ProFlo is available for all your faucet and sink projects. We specialize in fast repairs that are cost efficient and done right. We work to achieve the look you want with the functionality you need when it comes to your water flow. 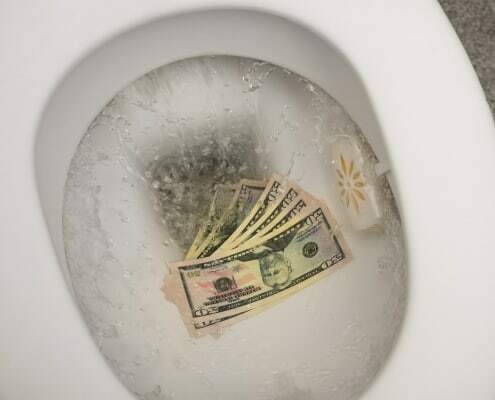 We know you can run into a few issues with your toilet, including clogging, constant running, non-flushing, and leaking. If you’re experiencing clogging, we can fix the flow at an affordable price. If the toilet won’t stop flowing or won’t flush, Proflo can make sure to repair your cistern as soon as possible. We can even help you correctly install new toilets into your bathroom with no hassle. Avoid the water bills that a leaking shower and tub faucets can cause by letting us help you repair it. 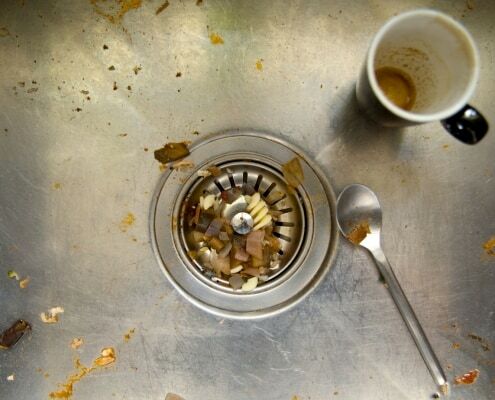 If your drains are clogged, we can unclog them – even the toughest buildups are no problem. If you’re completely customizing your current bathroom, we can help make sure installations, piping, and accessibility is exactly what you need. Leaking from any pipe in your house is a huge hassle. With our technicians expertly locating and repairing leaks, you don’t have to worry at all. We use the latest technology to save you money and solve your leaking problems efficiently. Proflo will work in your home to avoid any pipe leaking disasters. If you think your home may be experiencing a slab leak, call Proflo today. We will send our technicians to professionally diagnose the severity of the problem and find the source. Once we’ve located the problem, we can give you repair options at a price range you can afford. Avoid extensive damage by acting fast and avoid mold or a ruined foundation. If you find your family is spending a lot of money on water bottles every month, it may be time to consider a whole house water filtration and conditioning system. Experience better tasting water and peace of mind that your hard water was a thing of the past. Let Proflo help you take the step towards cleaner, softer and better tasting water! 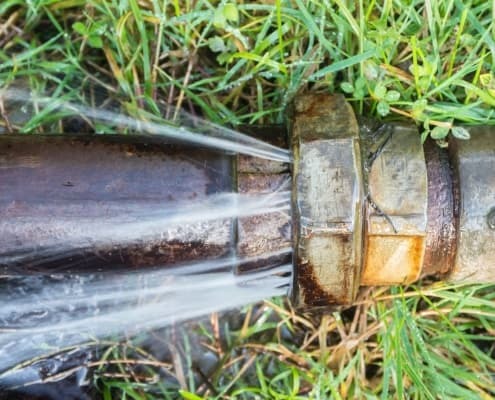 Why do pipes burst in the summer? https://proflohvac.com/wp-content/uploads/2018/07/iStock-489984284.jpg 924 1396 idgadvertising https://proflohvac.com/wp-content/uploads/2017/02/logo-2-2.png idgadvertising2018-07-18 15:53:492018-07-18 15:53:49Why do pipes burst in the summer?